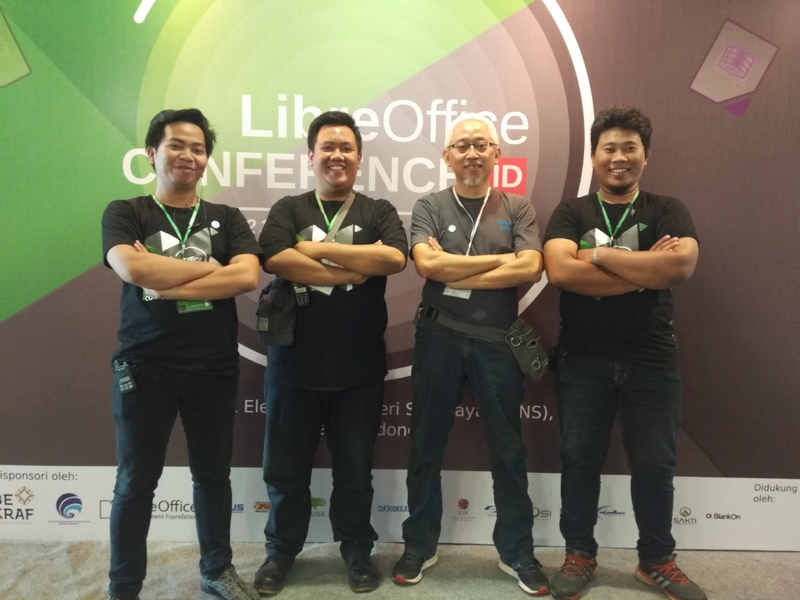 I have attended LibreOffice Conference Indonesia on Saturday, March 25, and Sunday, March 26. 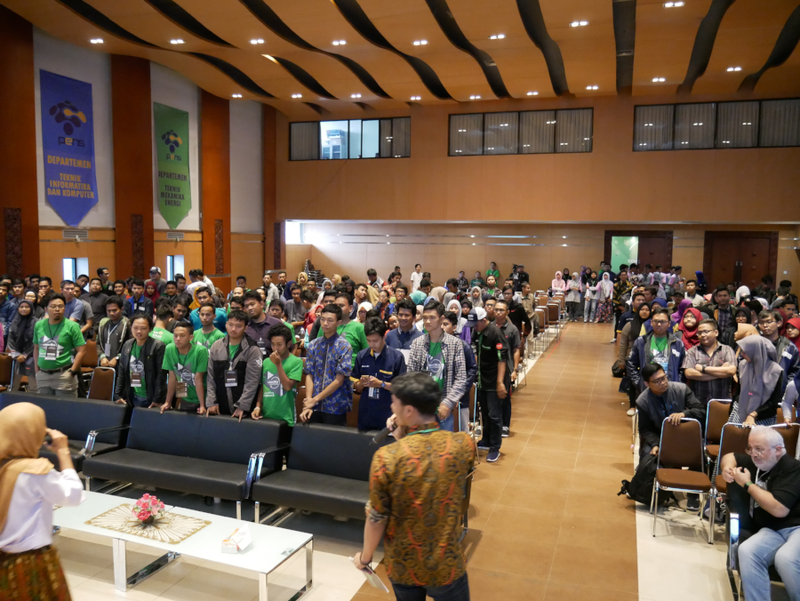 The event, hosted by Politeknik Elektronika Negeri Surabaya (PENS), has been the first of its kind in South East Asia, and I hope it will be followed by many similar events in other countries in the region. 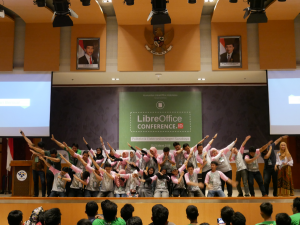 Of course, the concept of local LibreOffice Conferences in Asia has been launched by the Japanese community, which is a leading example of commitment. 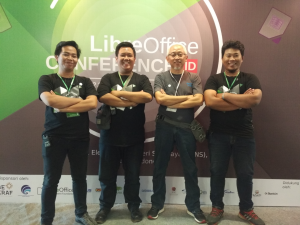 The day before the conference the Indonesia LibreOffice community has organized a localization workshop, led by Andika Triwidada, a long time contributor which has coordinated the Indonesia localization since almost forever. The day after the conference we have visited the outskirts of Surabaya, with magnificent memories of the past. We have also visited the famous Sampoerna cigarette factory in Surabaya. On Tuesday, in the morning we have had a meeting with a group of PENS’ IT professors, led by the university dean, with whom we have discussed the opportunity of increasing the presence of open source software in their syllabus. 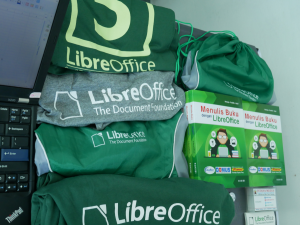 In addition, the university is going to evaluate the migration to open source software and LibreOffice, including the migration to ODF as a way to overcome vendor’s lock-in. 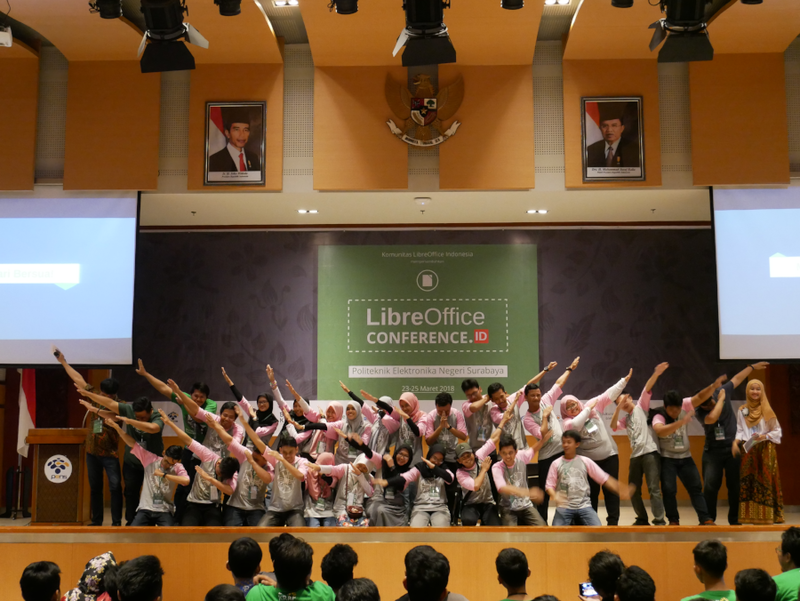 In the afternoon, Frankling Weng and me have keynoted in front of a large student audience about getting involved in open source, and have been followed by Ahmad Haris – the amazing conference coordinator – with a workshop in Indonesian on open source software. Haris has already provided a report in English about the conference, where he offers several insights on the organization. In addition, pictures of the entire event are available on Flickr. The conference has been a fantastic learning opportunity for me, especially in terms of better understanding local communities in Asia. Last year, I started my full immersion in this topic when I visited Taiwan to attend COSCUP and meet the local community and the country’s Ministry of Innovation, Audrey Tang. Participating in local community events is very important to strengthen the ties between The Document Foundation core team – Board of Directors, Membership Committee and staff members – and LibreOffice incredible global community. As I said several times during my talks, I have learned more about the community during the four days spent in Surabaya than in weeks of email and social media interactions. Of course, they are both important, but the human face-to-face relation is still invaluable in terms of relationship building. I hope to be able to attend similar events in the future, in other countries in Asia, South America and Africa.